Ceiling fans can not only help cool your home, but they are excellent for use in heating it as well. Using them year round can help reduce your energy bills. This is a guide about using ceiling fans year round. By setting your room ceiling fan on its lowest setting and using year round for heat or air conditioner, you can help lower the cost of your electricity bill. Remember to reverse the switch on the ceiling fans adjustments to the proper seasons use which will turn the fan the proper way to rotate the air going up or down to help keep the air flow (cool or warm air) in the room that your heat or air conditioner unit will distribute. Source: While growing up at home my parents did this for years when they heated with a wood stove then also when they changed over to an electric heat pump system having ceiling fans in all rooms. I have repeated this same tip for years and it works great and keeps the house at the same equal temperature which lets me lower my thermostat at least by a 2 degree settings and saves money on my electricity bill. I believe the debate is still open on when a ceiling fan saves energy. If it increases comfort when run at low speed with the thermostat set lower in winter, or higher in summer, then it may be a saver. But remember, electricity is typically the most expensive form of energy we use n our homes, so it is not a good substitute for the use of heat from natural gas. 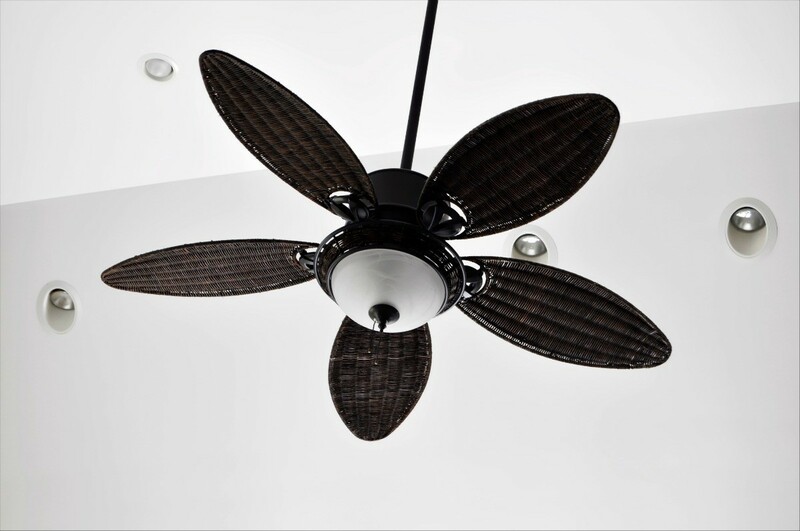 Which direction should you set a ceiling fan in summer? Clockwise or counter-clockwise? Editor's Note: Wiki says "In a room of normal height (8 - 10 ft), you should operate your fan so that it turns clockwise (this looks counterclockwise as you are looking up), causing a more directed downdraft, especially with the fan running slightly faster. This causes a wind-chill effect because the skin evaporates slight amounts of water from the sweat glands and thereby provides cooling through the skin's surface. However, the air is only moved but not cooled!"